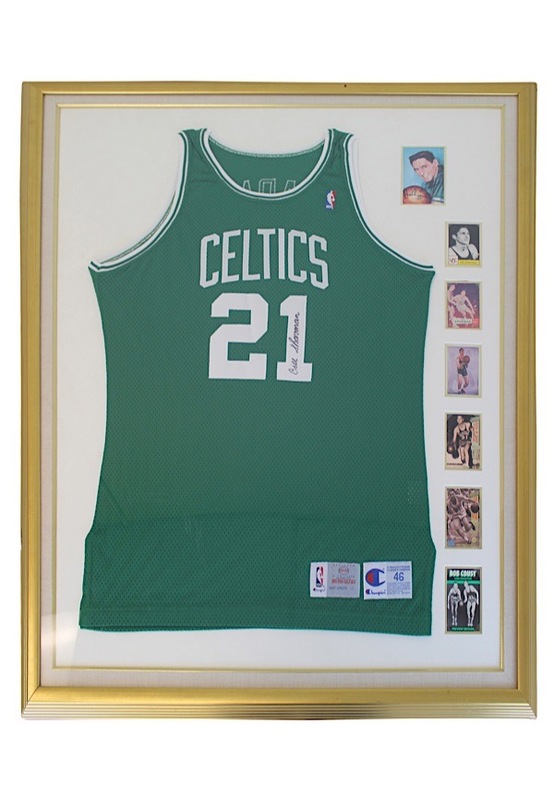 A large 37x44” framed display piece depicting a Bill Sharman Celtics jersey along with six cards and a picture of him. 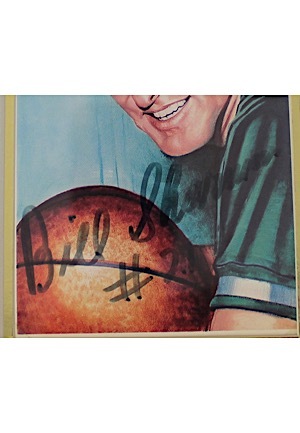 The complete tagging can be seen on the jersey on the front left tail. Sharman signed on the jersey as well as on the picture in black marker and in our opinion the signatures rate a combined 8. Accompanied by a LOA from JSA and a Sharman LOA.